The staircase of a home is a practical and functional element that also has the ability to add oodles of style to your space. 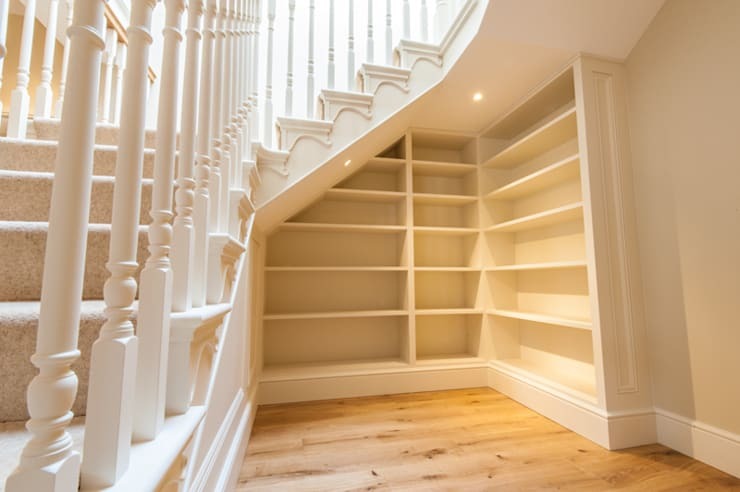 Depending on the area that you have at your disposal, the age or health of the family members who will be using it and the amount of money you are ready to spend, your staircase can be anything from trendy and minimalistic to sweeping and luxurious. So here we bring you 10 stunning designs which will make the process of ascending and descending sheer pleasure. Different materials like wood, stone, concrete and glass have gone into putting together these elegant architectural masterpieces. Let’s take a look. 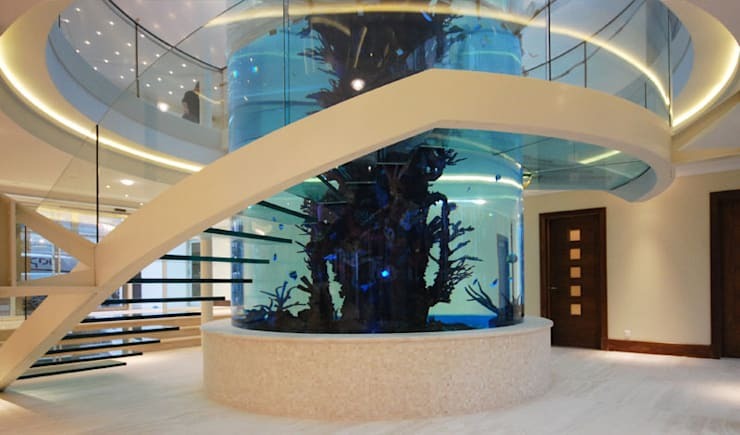 Rendered by the stairs and railings professionals at Diapo, this giant aquarium creates a futuristic statement as it stands encased in an asymmetrical, helical staircase with slim glass steps. The plants and fish within make for a larger than life statement. 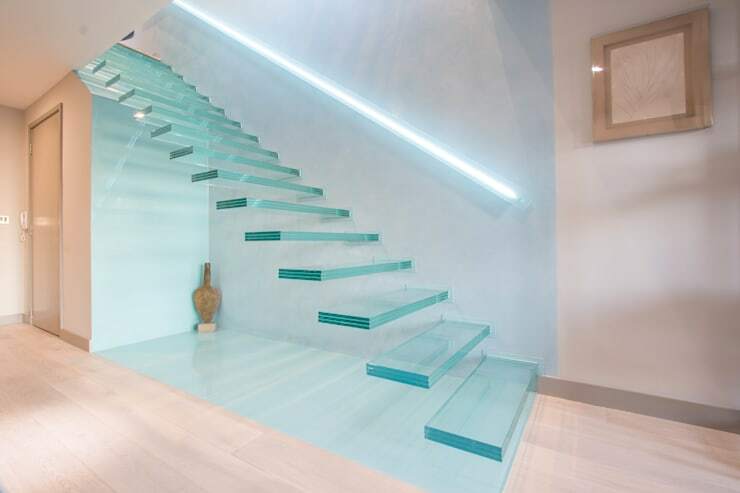 This unique glass staircase seems suspended in thin air with steps carved from laminate tempered glass. 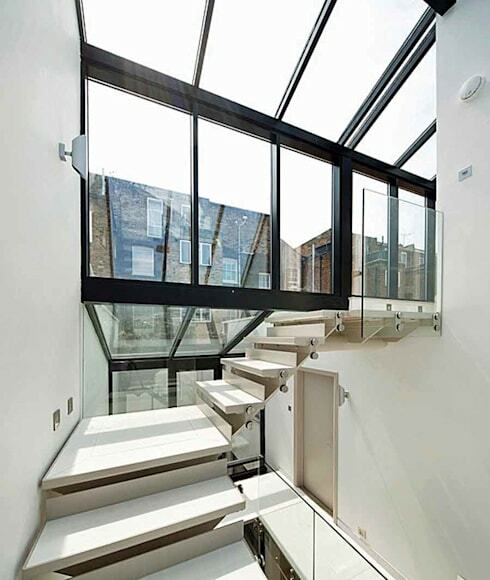 The floating stairs are lit by a railing of LED lights which produce an ethereal shade below the steps as well. The skylight of this home has been built like reverse steps with a tiered feel that exposes the sky and skyline as you walk up the stairs and counter their linear twists. The delicate wooden swirl of a staircase looks like a modern art installation when placed against the brick wall with a classical white fireplace nearby. 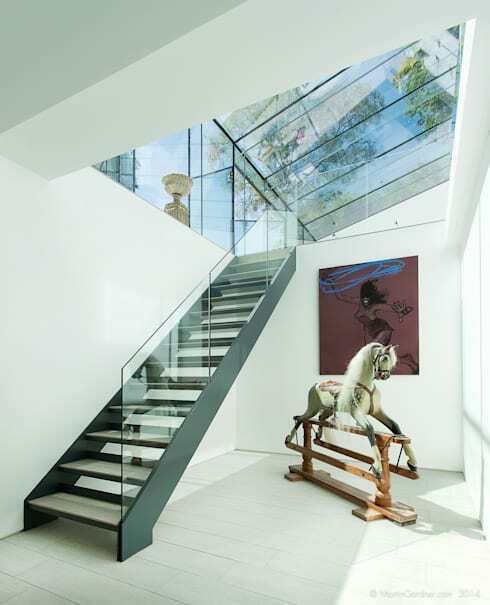 This staircase has an art installation style look with a large horse placed in front of a solid-hued poster artwork. The black metal staircase with its glass railing and wooden steps matches the rustic look of the horse. 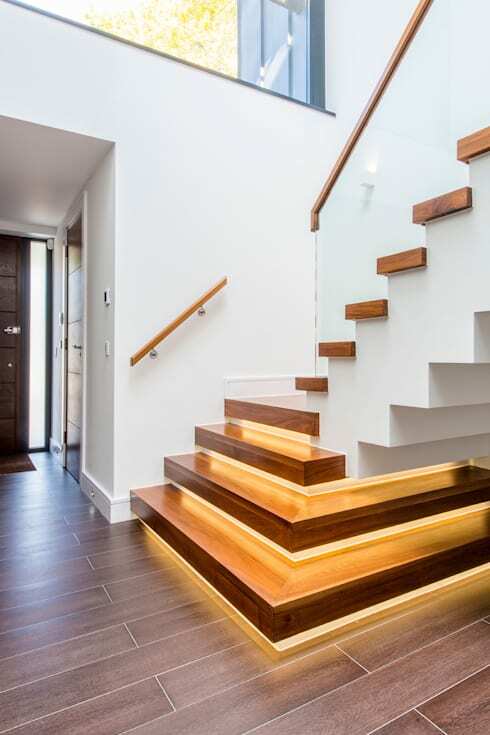 The cube-like steps have wooden layers with golden lighting to highlight the edges. These cubes sit squarely on the ground for a layered look before veering off into a linear curve with country style wooden railings on the side. 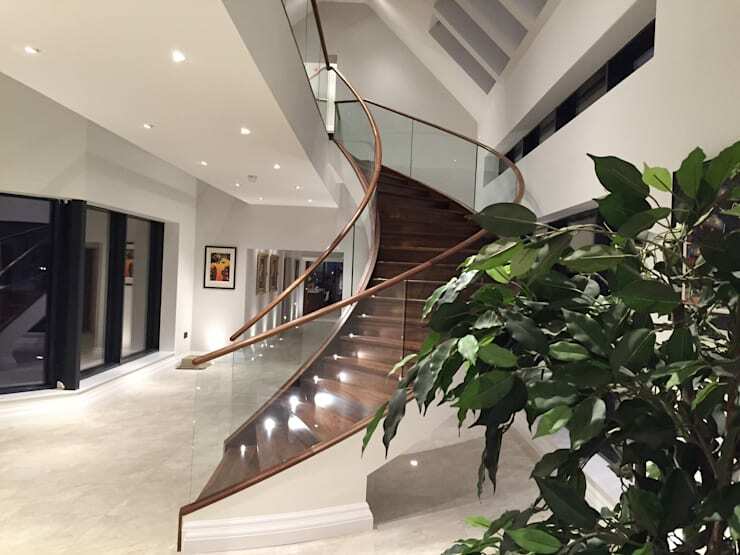 The subtle curve of this staircase is accompanied by sleek glass balustrades with slim wooden railings which add a charming rustic as well as trendy touch. Greenery has been added to one corner of this marble area. The classic railings create an old world statement here with large open shelves tucked under the stairs. The staircase itself meanders upwards in a simple curve gracefully. This art gallery style look makes the wide steps of the stairway the centre piece with artworks following their ascension in a line. 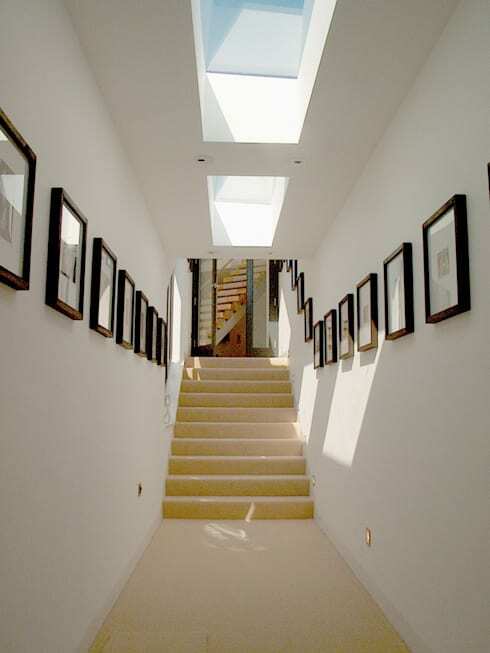 The black frames of the paintings are the perfect contrast when combined with the pine-hued stairs in this simple and neat white space with its large skylights. 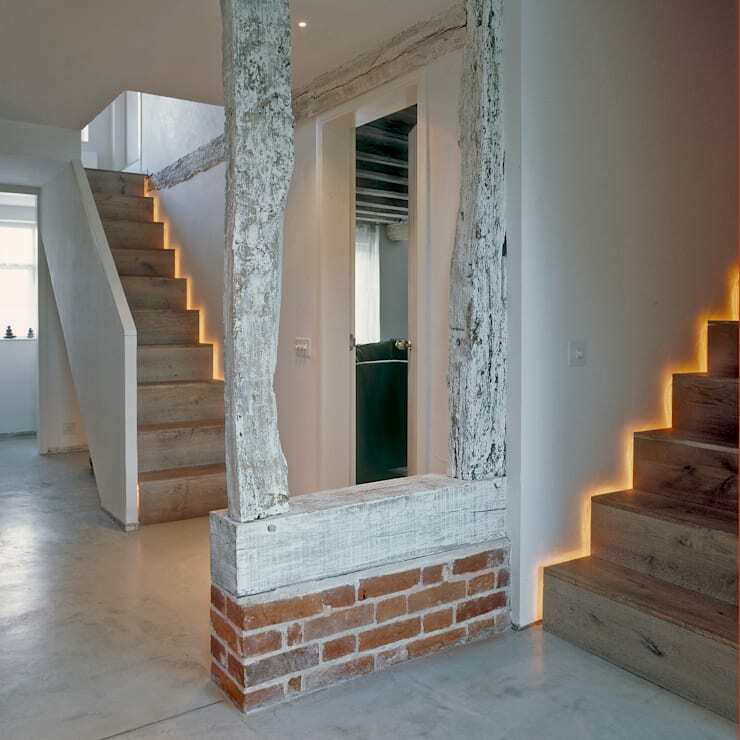 The raw driftwood frame for the separator and the cemented bricks create a perfect setting for the boxed wooden stairs and soft LED lights that give it all a smooth finish. 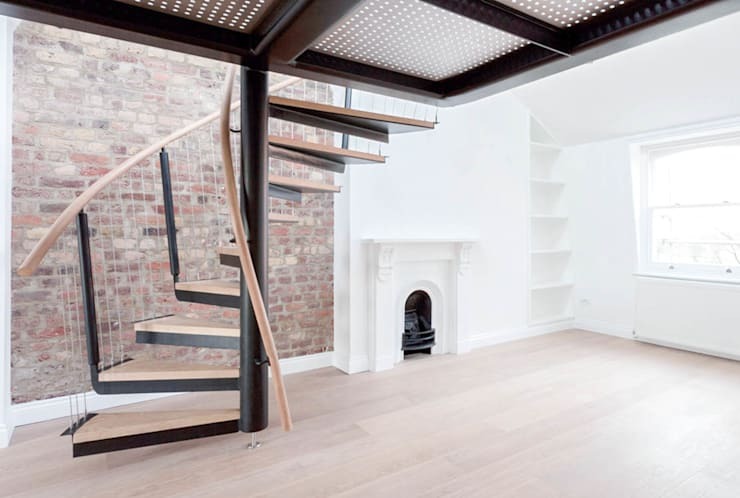 Check out another story with more ideas - 12 Fabulous Floating Staircases.